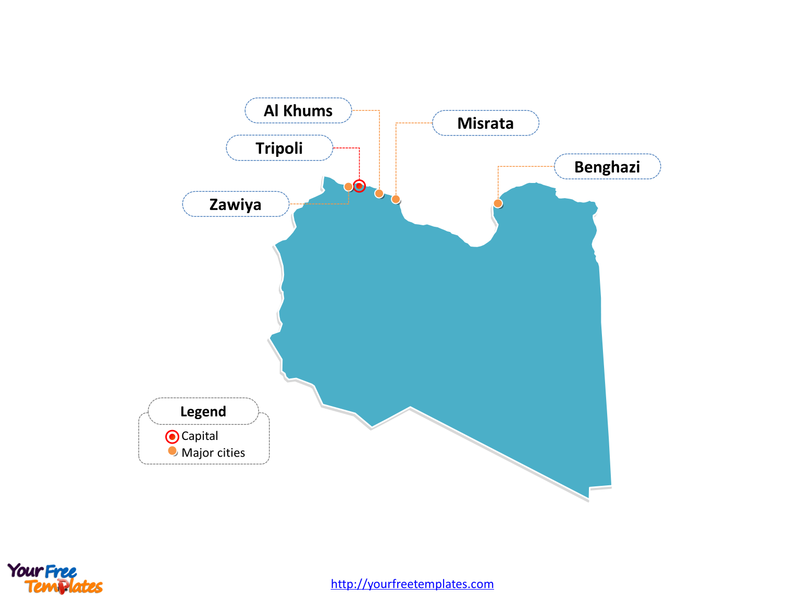 The Libya Map Template in PowerPoint format includes two slides, that is, the Libya outline map and Libya political map. Firstly, our Libya outline map template has capital and major cities on it, which are Tripoli, Benghazi, Misrata, Zawiya, and Al Khums. Secondly, there are 22 Districts in our Libya political map template of divisions, labeling the most populated divisions that are Tripoli, Benghazi, Misratah, and Al Jifarah. Slide 1, Libya map labeled with capital and major cities. Our Libya map is for the country in the Maghreb region of North Africa. Her neighboring countries are the Mediterranean Sea from the north, Egypt from the east, Sudan from the southeast, Chad and Niger from the south and Algeria and Tunisia from the west. For one thing, Tripoli is the capital and largest city of Libya. What is more, other major cities including Benghazi, Misrata, Zawiya, and Al Khums. So our Libya map slide has the capital and major cities on the outline. Consequently users can remove cities or include new ones to create their unique Libya maps and apply in different presentations. Slide 2, Libya map labeled with major districts. The Libya map is the country political division of 22 Districts. They are Al Butnan, Al Jabal al Akhdar, Al Jabal al Gharbi, Al Jifarah, Al Jufrah, Al Kufrah, Al Marj, Al Marqab, Al Wahat, An Nuqat al Khams, Az Zawiyah, Benghazi, Darnah, Ghat, Misratah, Murzuq, Nalut, Sabha, Surt, Tripoli, Wadi al Hayat, and Wadi ash Shati. What is more, every individual political subdivision is an editable shape. As a result, you can change the texts, colors, dots, highlight some map shapes, and add your contents. At the same time you can also refer to the fully labeled Libya map in Wikipedia. 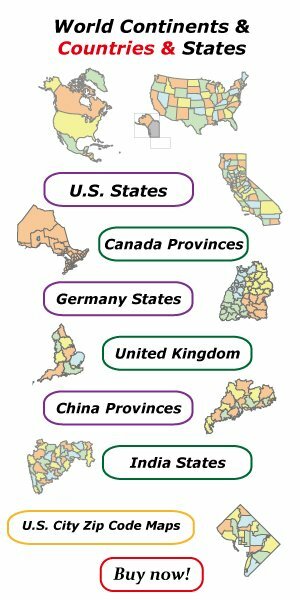 Believe it or not, analysts from marketing research companies, advisors or consultants from professional firms have thought highly of our map templates very much; because our maps can help to create good-looking maps.